Happy Holidays plus a freebie! This has been a busy semester for me. 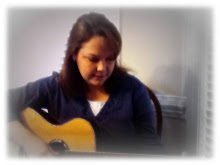 I realize I haven't posted often, but I've been busy recording songs for many different subjects and topics. I hope to get back on a somewhat regular blog posting schedule in the new year. Today I'm sharing an oldie but a goodie! I seriously get lots of use out of this song around this time of the year. The kids love it and they learn it pretty quickly! Today I'm giving away a freebie also! By clicking on the link here, you can access a power point presentation that goes along with the song "Christmas Lights". Each slide features colorful pictures of Christmas lights and the lyrics to the song. I hope all of you have a Merry Christmas and a Happy New Year!